We should make the difference easier to spot. Here the muted node is both dimmed and has a checkmark showing the current state. 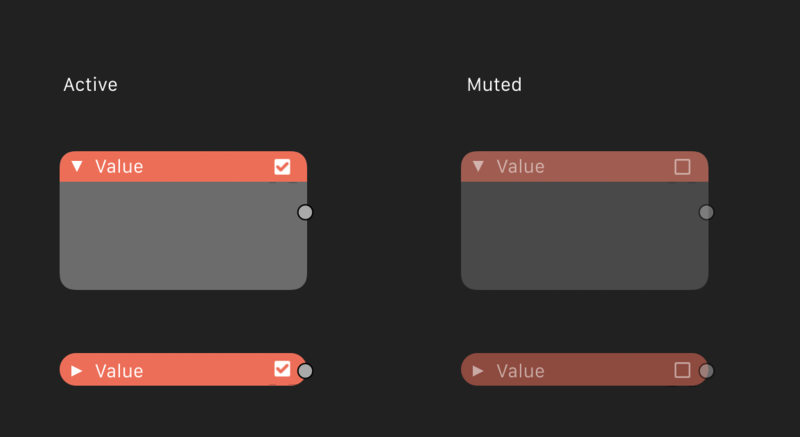 T60719: The header color of muted vs non-muted "Value" nodes is almost exactly the same. I think I'll try to implement this. William Reynish (billreynish) claimed this task.